If you have decided to purchase a masticating juicer, chances are you may find yourself in another dilemma as you have to figure out whether you want a vertical or a horizontal masticating juicer. What exactly is the difference between these two and why are upright masticating juicers better than traditional kinds? Vertical masticating juicers, or also known as the upright masticating juicers, are not that different from the usual masticating juicers available on the market. It slowly extracts the juice from the fruit or vegetable you place in the juicer to make sure that every single drop is collected. Juicing with vertical masticating juicers also does not require heat unlike centrifugal juicers, ensuring that the juice remains pure and with its natural nutrients and enzymes intact. It also does not have foam, ensuring that the juice is pure and without other characteristics. Users of vertical masticating juicers are also able to keep their juices for longer and while it is expensive, it is cost effective especially if users want to use the machine for other things such as creating creams, purees and even pasta. It is also very quiet like other masticating juicers, ensuring that you do not have to cover your ears while using this machine. What makes vertical masticating juicers unique from the conventional masticating juicers are the extraction process and design. In terms of its design, this machine is more compact than horizontal masticating juicers. If you purchased a vertical masticating juicer, you do not have to save up three pitcher-size spaces on your counter to make space for your masticating juicer. Vertical masticating juicer’s design is very compact ensuring that you require less storage space. 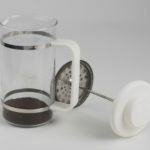 Some experts even said that the design of vertical masticating juicers are exquisite, making it look like it is kitchen décor rather than a juicer. In terms of the juicing process, vertical masticating juicers actually crush the fruits and vegetables placed instead of chewing the food like the regular masticating juicer. This ensures that it can get all the juices from the produce you placed in the juicer without missing a single drop. There are some drawbacks in purchasing a vertical masticating juicer. One, it is more expensive than the traditional masticating juicers considering that only a few makers sell these types of juicers. It is also very delicate compared to regular masticating juicers. Jams are a major problem with this machine as it can affect how the juicer works. Never settle for a simple juicer when it comes to vertical masticating juicers and Tribest knows how. 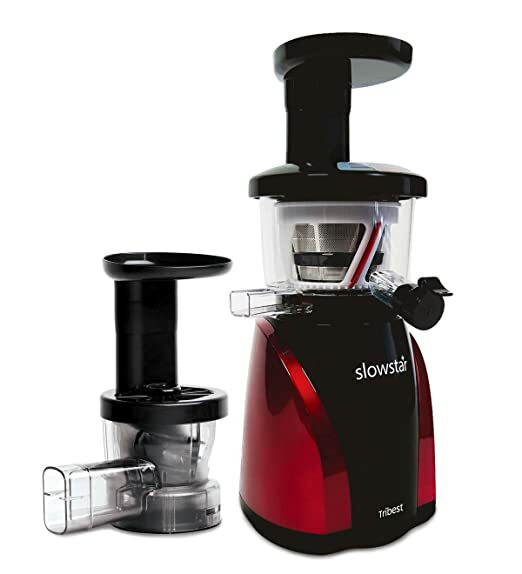 With their Slowstar Juicer and Mincer, you can make your very own blends of juices under the most optimal conditions to retain freshness and quality. This juicer can even act as a mincer, enabling users to make their own peanut butters, sorbets and pates with an easy to clean feature. 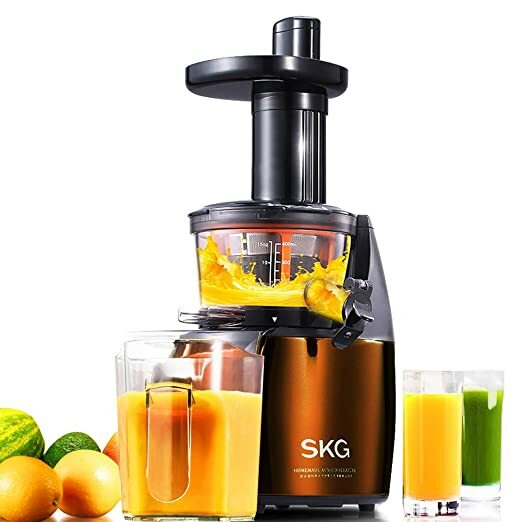 For an affordable vertical masticating juicer, SKG has the solution because this machine not only stands in as a cold press slow juicer but it is also a multifunctional food processor in one. This machine promises one of the lowest minimal oxidation procedures to ensure that the juice stays fresh and free from oxidation. Its warranty is also quite attractive as it comes with an extended 7-year warranty for parts. READ Masticating Vs. Centrifugal Juicers: Which is Best? Want to make delicious juices without having to cut fruits and vegetables? 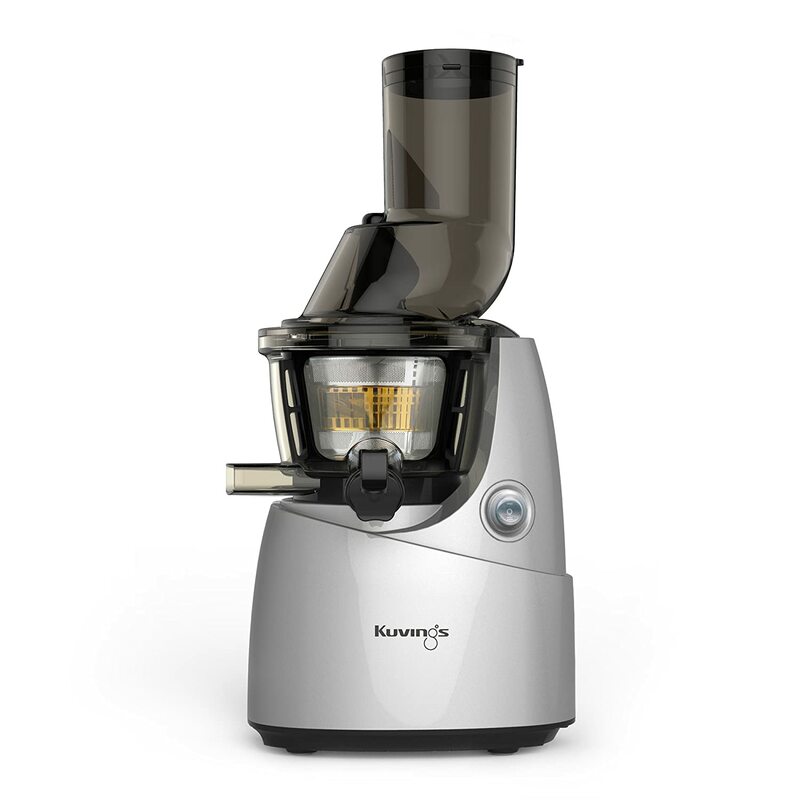 This juicer from Kuvings has one of the largest feed chutes on the market today as it is 3” wide, allowing users to put fruits and vegetables in whole without worries. It also comes with very strong materials to ensure that it can make the freshest juices without jams. It is also very easy to clean and you can even make sorbets with it. Previous Post Masticating Vs. Centrifugal Juicers: Which is Best?